Mercedes to Volvo | What Car? Go to Carfile.net and save 2997 on the C250 Blue Efficiency Elegance saloon. Price you pay: 27,783. Drivethedeal.com will save you 3852 on the E220 CDI Blue Efficiency SE saloon. Price you pay: 26,043. Save 2741 on the Mercedes E350 CDI Blue Efficiency SE Cabriolet at Carfile.net. Price you pay: 37,374. Save 1366 on the 1.6T Acenta Sport Pack at Carfile.net. Price you pay: 14,929. Save 1950 on the 1.5 dCi Visia 2WD with Carfile.net. Price you pay: 15,945. Carfile.net will save you 3271 on the 2.0 dCi 150 Tekna auto. Price you pay: 26,969. Buy a 2.0 HDi 163 Allure SW from Dealdrivers.co.uk and save 2178. Price you pay: 23,752. Check out Drivethedeal.com for a 3757 saving on the 1.6 HDi 112 Envy. Price you pay: 17,043. Go to Mammothcars.com for a 2743 saving on the 2.0 HDi 150 Exclusive. Price you pay: 21,162. Save 1941 over list price on the 1.6 THP 200 Sport with Drivethedeal.com. Price you pay: 21,664. Save 1735 on the 1.2 75 Bizu estate at Drivethedeal.com. Price you pay: 8665. This deal applies to selected stock models. Carfile.net will save you 4475 on the 1.4 TCe 130 Expression. Price you pay: 14,340. Get a 4347 saving on the 2.0T 205 GT Line TomTom coupe with Drivethedeal.com. Price you pay: 20,668. Save 4173 on the 1.4 TCe GT Line TomTom coupe at Coast2coastcars.co.uk. Price you pay: 15,547. Get a 3028 saving from Drivethedeal.com on the 2.0 TDI 170 SE. Price you pay: 24,312. Drivethedeal.com will save you 2595 on the 2.0 TDI 170 SE Lux saloon. Price you pay: 21,175. Buy a 1.6 TDI CR 75 SE Plus from Carfile.net and save 2050. Price you pay: 11,325. 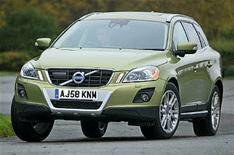 Go to Carfile.net for a 2220 saving on the 1.6 TDI CR 105 SE Greenline II. Price you pay: 18,525. Save 1943 over list price on the 1.4 TSI SE Plus 2WD with Carfile.net. Price you pay: 16,447. Get a 1457 saving on the 1.2 SZ4 3dr with Drivethedeal.com. Price you pay: 10,588. Secure a 3459 saving on the 1.33i TR at Uknewcars.com. Price you pay: 13,101. Carfile.net will save you 2330 on the 1.8i T Spirit. Price you pay: 21,715. Uknewcars.com will save you 1337 on the 1.0i TR. Price you pay: 10,858. Mammothcars.com has a 3941 saving on the 1.6T SRi 5dr. Price you pay: 17,954. Save 1998 on the 1.3 CDTi 75 Ecoflex Excite at Carfile.net. Price you pay: 13,102. Save 5560 over list price on the 2.0T SRi Nav with Mammothcars.com. Price you pay: 20,145. Carfile.net will save you 2929 on the 1.4 100 Exclusiv. Price you pay: 13,946. Mammothcars.com will save you 2339 on the 1.4 TSI 122 Match 5dr. Price you pay: 16,576. Save 2492 on the 1.4 TSI 122 SE Bluemotion Tech saloon with Mammothcars.com. Price you pay: 17,598. Drivethedeal.com will save you 2196 on the 1.6 TDI 90 SEL 5dr. Price you pay: 14,024. Save 2083 on the Volkswagen Scirocco 2.0 TDI 140 from Uknewcars.com. Price you pay: 20,127. Drivethedeal.com will save you 2792 on the 2.0 SE Lux. Price you pay: 14,968. Go to Drivethedeal.com for a 5663 saving on the 2.4 D5 215 SE Premium S/S. Price you pay: 26,807. Save 5234 over list price on the 2.0 T5 SE Premium Powershift with Drivethedeal.com. Price you pay: 29,406.